Hello! 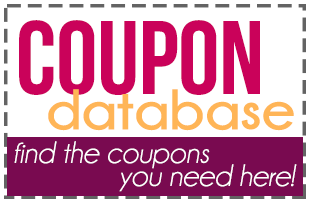 I’m Amber and the owner-writer at Become a Coupon Queen. Thanks for joining us!! My hubby, Jason, and I live in Central Illinois and have been married since May 2003. We have two boys – Drake born in February 2010 and Colin born in May 2012. Before kiddos, we loved going out to eat and did a lot of traveling. Growing up, my mom used coupons, shopped Aldi, and bought our clothes at garage sales. In the Fall of 2010, my couponing/frugal living lifestyle took off! I have always been a saver, but when I had friends on Facebook posting grocery savings of 50% or more, I knew I needed to check this out. That’s when I discovered how coupons could change our financial situation. In addition to couponing and cutting our grocery budget in half (down to $50 per week for myself, my husband, our two kiddos and our dog), we also got serious and looked at Dave Ramsey’s Baby Steps. Thankfully, we didn’t have any credit debt or car loans, but we were not saving or investing what we should have been. Fast forward a year and I was pregnant with Colin. Throughout my pregnancy, I knew that I wanted to stay home with my boys after he was born. We had been living off my husband’s income so I knew we could do it, but that meant this had truly become a lifestyle. I began working for a friend on her site, All Mommy Wants, in February 2012 and purchased Become a Coupon Queen in December 2013. In addition to my weekly grocery shopping, I love to pick up great deals to stock my gift closet! This is great for the times when a birthday party pops up on the calendar or the budget is stretched around the holidays. I love sharing deals with you and hope you will share the deals you find with us, too! how do you do this I can never get them to print is there something that I have to download. could you please help this dum dum I would love to try to save lot of money I really don’t have. I am sick and live on disablety please help sharonjuana@aol.com or on facebook would be better.thank you so much.i live on 1,070.00 a month that is why I would like some help…..
Hi Sharon! Yes, in order to print coupons, you will need to download the coupon printer when it prompts you. I’ve seen extreme couponing on TV & how much can be saved as a result. I want to go there too!!! I admire the dedication & diligence as things are so hard financially today especially with young children. We are grandparents that help support our twin grandkids of our single mom daughter. I would LOVE to learn all the tips & tricks you use to save on everything you do! !